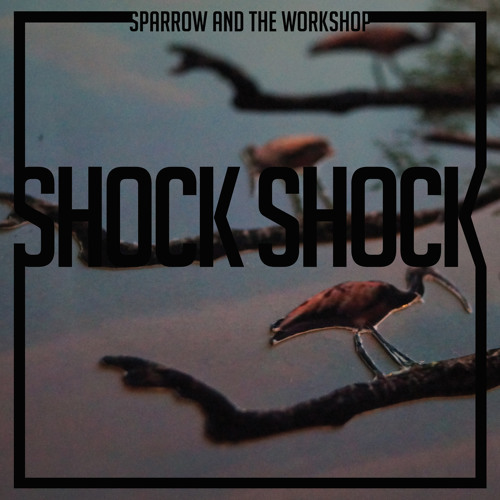 This new single is the first thing we've released with long-time pals Sparrow & the Workshop. I've been itching to release their stuff ever since we recorded our Toad Session with them back in 2008. Anyhow, two albums and several EPs and singles later, here we are. The folkiness of their earlier stuff has all but vanished, and in its place is a more ferocious beast, with Jill evolving from a shy guitar picker to a ferocious front-woman, Nick turning from the metronome on bass to a balls-out rock god (minus the splendid perm of course) and Gregor... well, Gregor's just as nuts as ever. And he has his awesome moustache back too. The production at Chem19 is a breath of fresh air too. It's as close as you'll get to capturing the band's live aggression, and the vocals sound as good as I have heard. This is the first single from their new album, and trust me, it's a good 'un. Comment by Release The Kraken Inc.
It´s been a while since I felt anything like this!! Tingle. Tingle. Enjoying the vocals so much… great track, neat production and arrangement. Harmony vox are sensational, nice bass, just playing again…. Love the snare. So crisp! Delicious! Heard this on Marc Riley/BBC earlier this week. I was smitten right at this moment. Could listen to this for hours.